Sky NewsSNP leader Nicola Sturgeon. Scottish nationalist leader Nicola Sturgeon has said that the SNP “will begin to prepare the legislation to allow a new referendum to take place” before the UK leaves the European Union. This means that the second Scottish independence referendum is likely to happen within the next two years. Scotland decisively voted to remain in the EU with 62% voting for Remain compared to 38% who voted for Leave. However, the UK as a whole voted to leave the EU. The First Minister added that “the Scottish parliament must be fully and directly involved” in UK negotiations with Brussels. Sturgeon cited the SNP manifesto from the Scottish Parliament elections in May, which proposed another independence referendum if there was a “significant and material” change – like a British exit from the EU. “I’m proud of Scotland and how we voted yesterday. 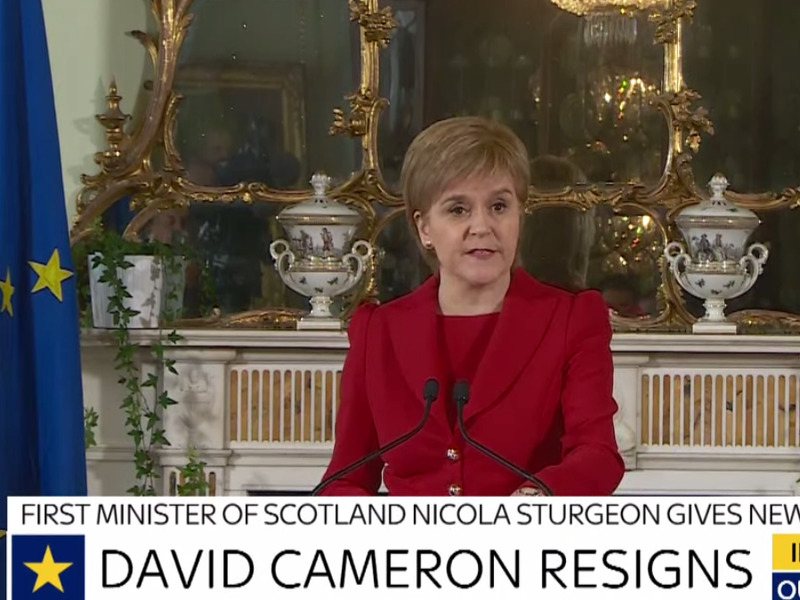 We said clearly we don’t want to leave the European Union,” Sturgeon added.